When I wrote that note, I could see myself three years into the job, beat down, worn out and ready to give up. That note came at the right time. Over the last few years, there have been many times I felt like I couldn’t please anybody, or when nobody would listen to my side of an argument, or when I got smeared, lied about, or otherwise defaced. It took a lot to not say, “I don’t need this,” and go back to the private sector. I’d like to have job that didn’t come with death threats, abnormal normal hours, and most importantly, I’d like a job that my family doesn’t feel threatened. But that’s not where Providence put me. Now I reflect on those original reasons for running, and I still find them true. I’ve also added some more reasons to rerun for Warren County Commissioner. First, I am called to serve the downtrodden, the underdog, the undervalued, the sick and broken. The Commissioners Office, if used rightly, provides a platform to serve these constituents. Though I don’t personally have the capacity to bind up the wounds of all those hurting and disenfranchised in the County, I do what I can, and hope to foster an environment where others see the pain and rush to help. Third, the job matches my God-given abilities well. I enjoy improving systems, building programs to solve real needs, showing restorative compassion, and finding good people to build a solid team. Furthermore, I have unique knowledge of the emergency services, community and economic development, and relationships that help make things happen. In short, this job is the most impactful way I can use my time and talents to make positive change. That’s why I’m here. That’s what I’m all about. I’m the first to admit, the last three years haven’t been perfect. I certainly haven’t been perfect. Yet, though I weaved down the road, we’ve consistently gone the right way. That said, one thing I’ve learned is that I am not enough on my own. The Commissioners all need to share a common vision and pull in that direction to affect meaningful change. I’ve heard it said that during a workout, one linebacker can pull an empty railcar 100 yards. Paired with an equally strong linebacker, they can pull that rail-car 300 yards. I don’t know if that’s literally true, but the analogy seems right. That’s why it’s so critical we elect Tricia Durbin. We are different people, with different backgrounds and connections, but we share a vision of what Warren County could look like. Together, we can make a difference in the lives of inmates struggling with mental health conditions. Together, we can make a difference in the lives of those suffering from substance abuse disorders. Together, we can make a difference in the lives of the intellectually disabled in need of meaningful work. Together, we can make a difference in the lives of the underemployed seeking fitting, fulfilling jobs. Together, we can make a difference in the lives of the entrepreneur just getting started. Together, we can make a difference in the lives of the small business owner. Together, we can make a difference in the lives of the young people. Together, we can make a difference in the lives of those contemplating ending their lives. 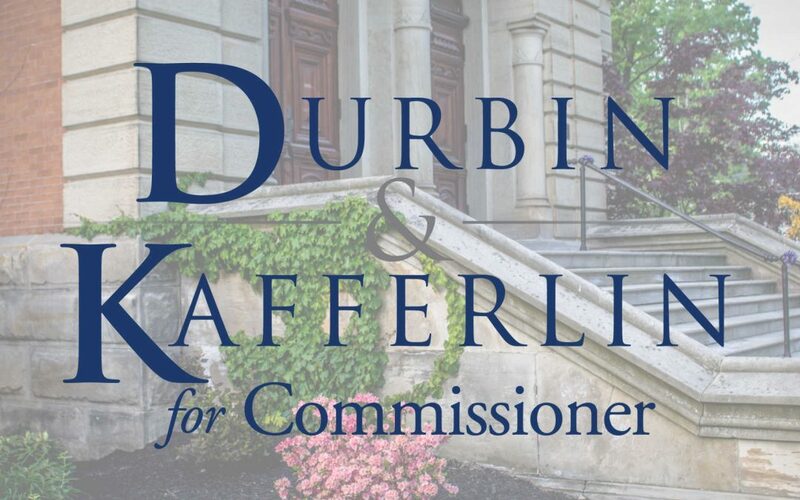 Together, we can re-elect me and elect Tricia Durbin and make a difference in Warren County.